How can we think about excellence as an enriching process rather than a final result? As the first family day care service in Australia to be awarded the Excellent rating by ACECQA under the National Quality Framework in 2013 – and re-awarded the rating in 2016 – Wynnum Family Day Care is passionate about sharing high quality practice and implementing a range of collaborative initiatives. 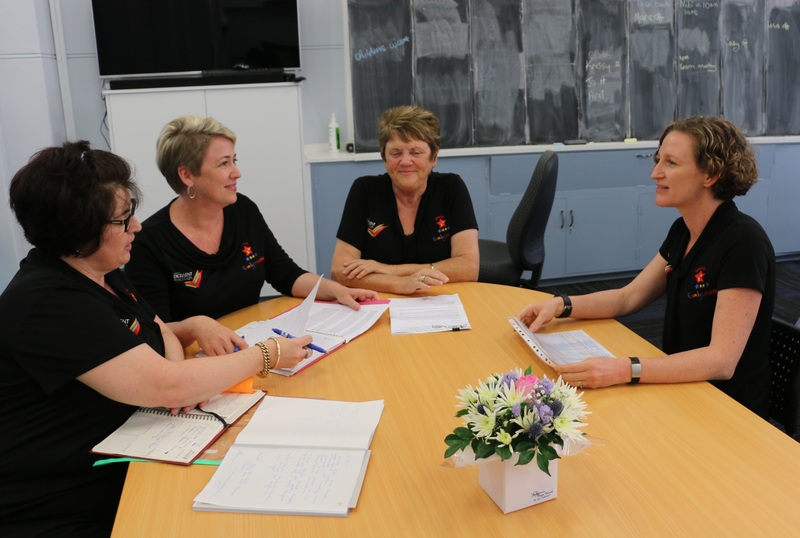 This month on We Hear You, Wynnum FDC’s Educational Leader, Niki Kenny, explores some of the processes that drive the service’s exceptional practice and the principles behind them. As passionate advocates for high quality children’s education and care, the educators and staff at Wynnum Family Day Care place great importance on collaborative partnerships and relationships with the sector, as well as sharing processes, practices, attitudes and ideals that are central to continuous quality improvement and excellence. As a relationship-based service with a focus on positive workplace culture and organisational values, Wynnum FDC has developed an interview and orientation process for prospective educators that goes beyond the checking of minimum qualifications and legislative requirements, giving educators an opportunity to assess their ‘fit’ with the service’s culture. Relationships with families are also prioritised: while it would be possible to conduct all enrolments online, the service invites all new families to attend the family-friendly office space for a face-to-face interview to build their understanding of the coordination unit and educators’ distinct, but intertwined, roles in supporting them and their child (or children). involving families in decision-making for the service. One of the rewards of strong relationships and teamwork is longevity of educators, staff and families within the service. The sense of trust that develops over time allows the service to operate in a responsive and proactive way, as opposed to a reactive compliance model. An example of this is when educators and coordinators work together to solve problems and overcome challenges, with honest and respectful communication. Team members are able to listen to and learn from each other, and view challenges as a learning opportunity. Another benefit of having long-term team members is the sense of stability that leads to confidence to think outside the square and try new ideas. Innovation and high expectations go hand in hand at Wynnum FDC: “We set high expectations for ourselves every day – not to achieve a particular rating but in order to deliver the best service we can to our community,” said Manager Cathy Bavage. Whether writing a new policy, changing a practice or facing a challenge, team members focus not only on what is required by legislation and regulations, but what is current best practice. For example, coordinators tend to be qualified above and beyond the minimum requirements, and have all received additional training in adult learning, to enhance the delivery of training and communications. “We recognise that children’s learning, development and wellbeing are directly associated with quality professional development,” added Cathy. There is therefore a strong focus not just on children’s learning but on adult learning as well. The innovative programs and business practices that arise from setting high expectations for early education and care are perhaps the most visible component of Wynnum FDC’s journey to excellence. Forward thinking and innovation are enabled by reflective practice. Daily ‘mini’ team meetings are held in the office as a way for coordinators to share not only practical information about tasks to be completed, but also to ‘check in’ with each other about workloads and the best way to manage. A weekly team meeting allows for extended time to review current happenings in the service, discuss how any challenges will be managed and by whom, and to reflect on practice by giving and receiving feedback. Due to the trusting relationships between educators and coordinators I mentioned previously, questions about practice can be posed without evoking a defensive response, and instead taken on board as a valuable part of continual professional development. Bi-annual reviews of the service by an external consultant ensure reflection remains robust and critical. Other rewards of reflective practice, apart from leading to innovative programs that enhance children’s learning and growth, include being able to constantly align actions with philosophy and to have confidence the service is working towards its vision to provide quality outcomes for children. An Excellent rating can be compared to an iceberg, in that the visible part (the rating) is held up by the processes and practices, which are in turn supported by the deeper underlying principles or beliefs that form the service’s philosophy. Therefore the first steps for services seeking to enhance their rating is to develop a philosophy including the values that are most important for your context and community, followed by the processes that will best enable you to put your philosophy into practice.